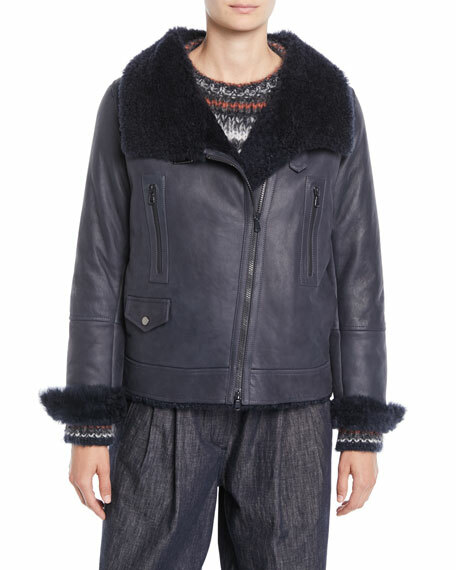 Brunello Cucinelli leather moto jacket with dyed sheep shearling (France) fur lining. 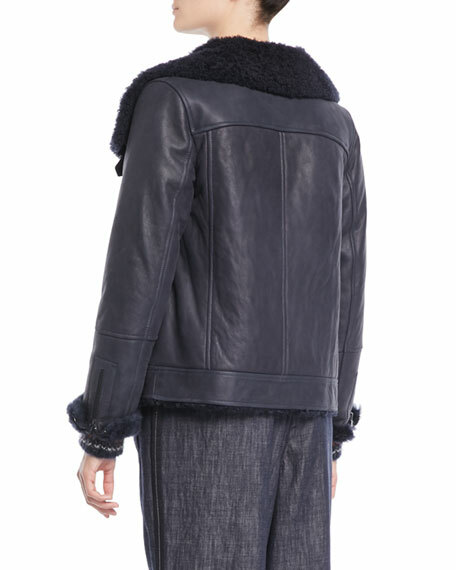 Shawl collar with buckle closure. For in-store inquiries, use sku #2640200.